The wheels will keep turning for the Clermont Choir Foundation which now has a new set of wheels thanks to the Sibaya Community Trust. Heeding the Foundation’s call for assistance and to mark the choir’s 25th anniversary, the Sibaya Community Trust donated a brand new 2018 Toyota Quantum to the Foundation. The vehicle will be used to facilitate the numerous community projects the Foundation undertakes as well as for transporting the choir members to and from their performances. The handover ceremony took place at Sibaya Casino and Entertainment Kingdom, with special guests, members of the media, and choir members in attendance. The donation of the vehicle is a first of more community-building projects that well-known businessman and Chairman of the Sibaya Casino, Vivian Reddy, will undertake in support of the Clermont Choir Foundation’s efforts to further extend its arts development programme within the province of KwaZulu-Natal and beyond. For 25 years, the Clermont Choir Foundation has run various programmes to nurture performing arts talent in previously disadvantaged areas by providing opportunities for people to develop their skills as well as perform. 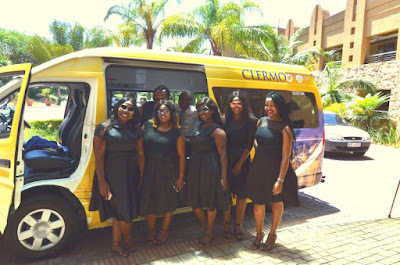 “Sibaya is privileged to be in a position to assist in addressing the Clermont Choir Foundation’s need for a vehicle. Reliable transport is essential for addressing the Foundation’s transport needs and for extending its services in our region. We wish them many happy and safe miles with their new wheels,” says Vivian Reddy, of the Sibaya Community Trust. For more information on happenings at Sibaya visit www.suninternational.com or follow Sibaya on www.facebook.com/yoursibaya or on Twitter @SibayaCasino.